Located at our legendary St. James’s Gate brewery, the Brewers Project allows the best brewers to experiment with recipes old and new. This double-hopped lager is the next chapter in that project. It’s decidedly modern and totally different. With more ingredients comes more character. 100% Irish-grown malted barley. The distinctive Guinness yeast. A mixture of Australian and American hops runs as an undercurrent through this incredibly deep beer, which is fresh at the surface and complex at the bottom. Guinness brewers set out to create something that would stimulate your palate and senses alike. From first sip to the lingering finish, this beer is surprising. 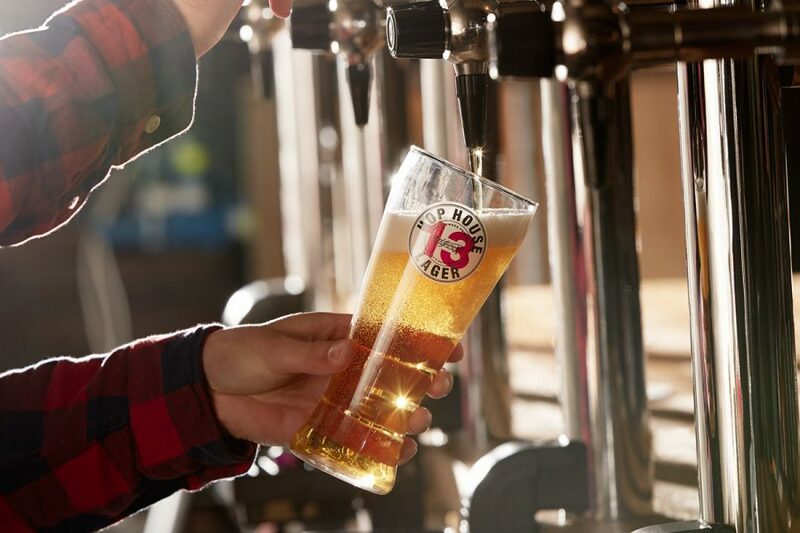 Sample Guinness Hop House 13 at Slattery’s Bar and you’ll experience a lager made with so much more. More hops. More character. More taste. It’s a lively sip with accents of apricot and peach. The flavour deepens into subtle malt with a medium body. Combining the famous Guinness yeast with Irish-grown barley in a lager brewing process, Guinness brewers changed the game.